Nestling against the dry stone wall was a cluster of weeds, but no, they weren't just weeds, they were beautiful bits of nature. 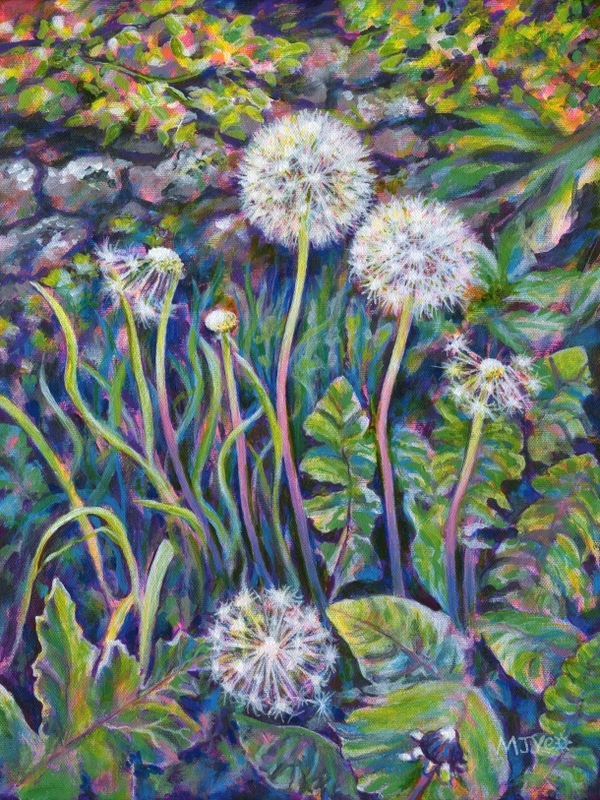 I especially like dandelion seedheads. Their delicate geometric design, not just beautiful, a bit like lovingly created lace, but also practically engineered for the seeds to be transportable by the wind. It was a subject that demanded to be painted.